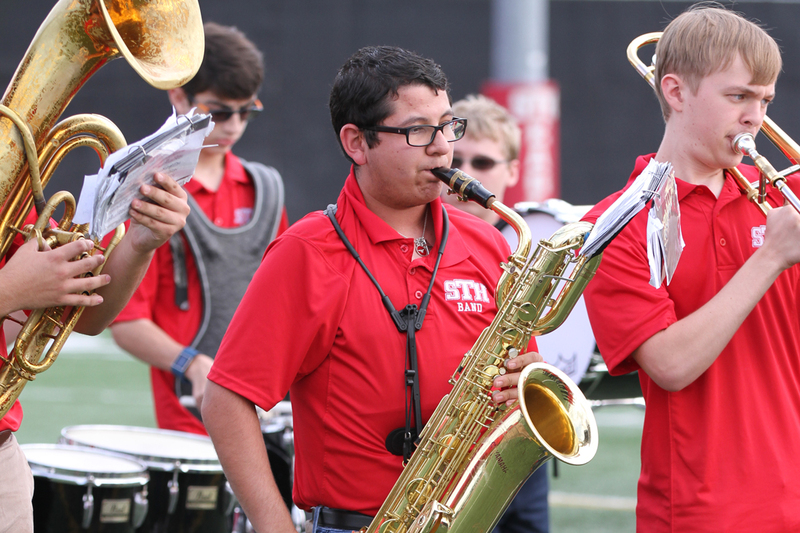 The Instrumental Music program at St. Thomas spans the range of musical mastery from beginner to accomplished musicians. The important thing is the creative expression of making music with other others, growing in your own abilities and experiencing the joy of playing for an audience that appreciates your music. To that end we offer band, orchestra, chamber music, jazz band and jazz combo. 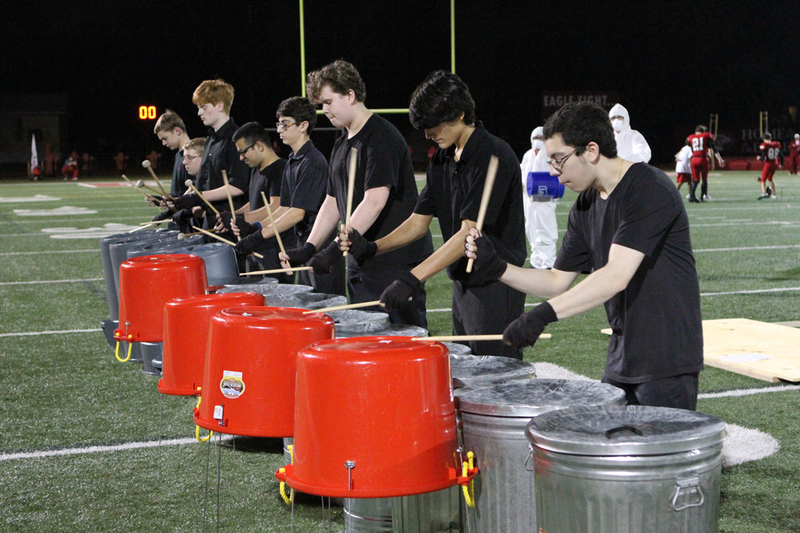 Our instrumental musicians perform at events throughout the year and earn top ratings at the TAPPS and state competitions. 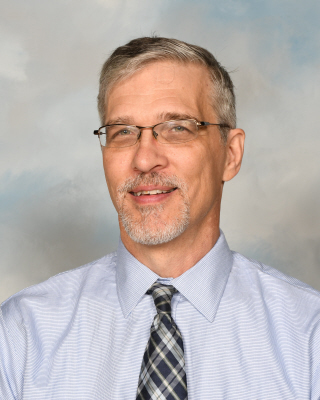 Mr. Thoede has been a member of St. Thomas faculty since 1999. 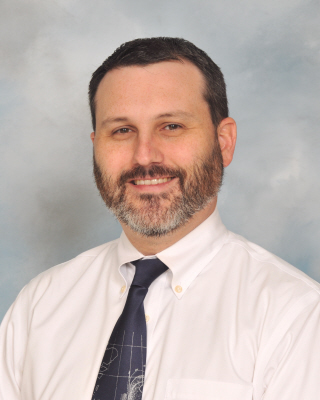 Prior to joining the faculty, he held the applied saxophone position at Sam Houston State University and taught lessons in Spring Branch and Klein Oak. In addition, he performed throughout the Houston area with his own band and others in genres ranging from classical to funk. During his tenure at St. Thomas, he became an honorary life member of Alumni Association and received a citation from the Houston Symphony for Outstanding Teaching. He is responsible for teaching concert band, strings, jazz bands, beginning band and music history. This is a full-year elective course offered to students with little or no prior music experience. In this course, students are taught to read music notation and to play a band instrument, with the goal of joining the Concert band by the second semester. Mr. Thoede and Mr. Wilson work together with the students to help them select an instrument, then to learn the fundamentals of technique and music reading skills. 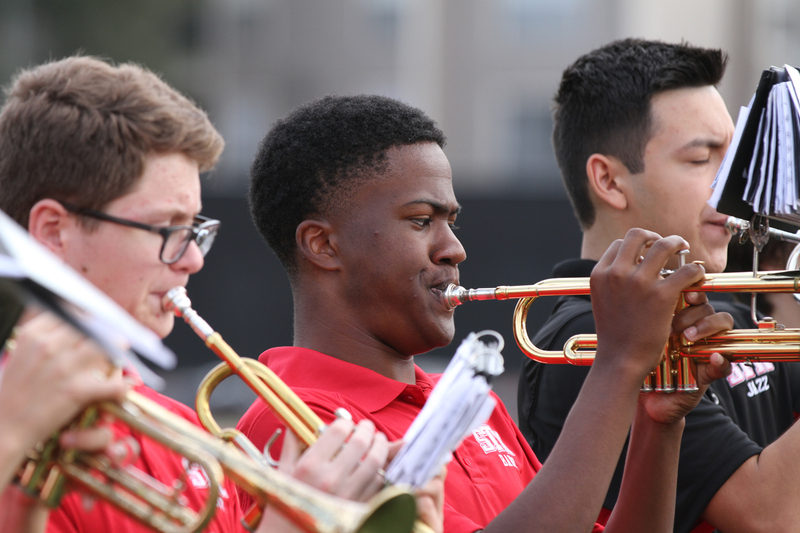 The fall semester is held during the regular school day, and in the spring, beginners join the rest of the band students in the 7:00 AM classtime. 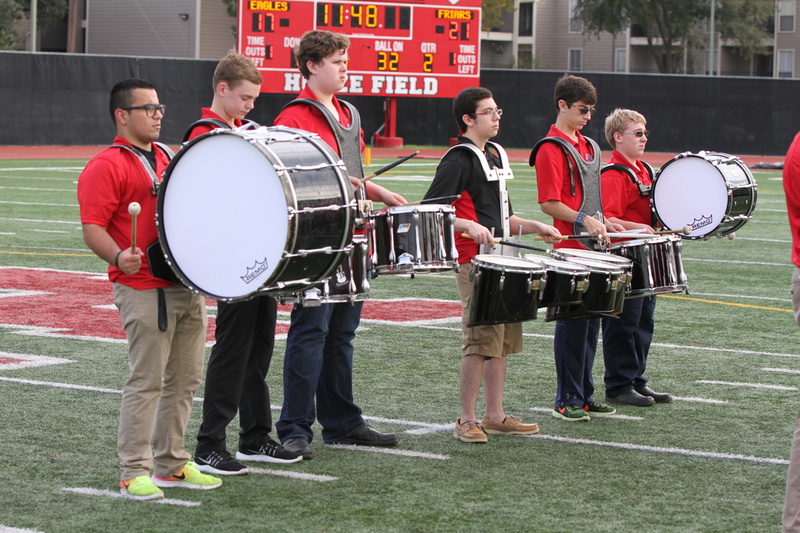 Students are able to choose to learn playing any brass, woodwind, or percussion instrument. 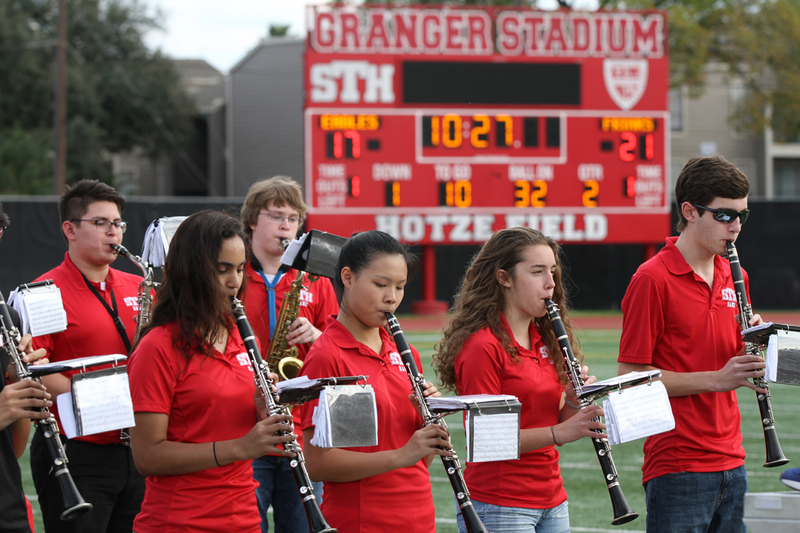 The St. Thomas Band is made up of students from St. Thomas High School and the girls from Duchesne Academy and Incarnate Word Academy. The instrumentation for this ensemble is woodwind, brass and percussion performing music from all genres of music. 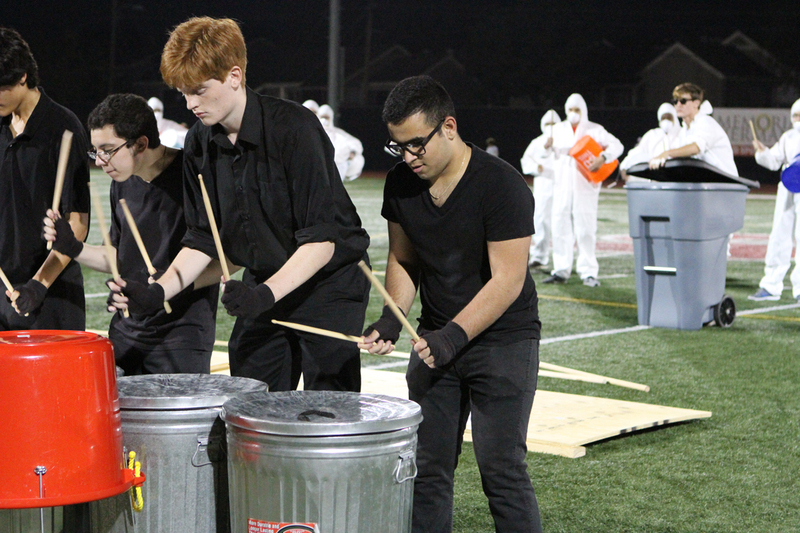 The performance requirements are two major concerts (Christmas and Spring), thanksgiving service and as a pep band for varsity football games. 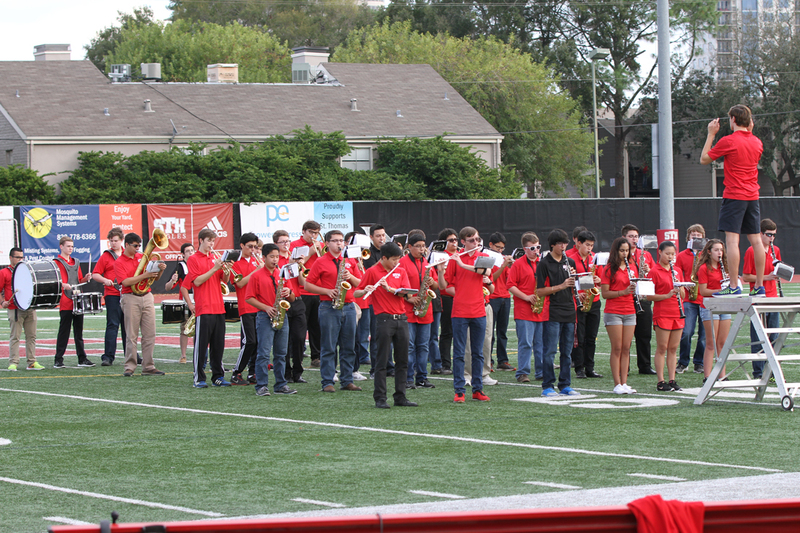 Additionally, the band performs in large group and small group capacities at contests hosted by Texas Association of Private and Parochial Schools (TAPPS), Texas Music Educators Association (TPSMEA) and Houston Symphonic Band (HSB). The class meets at I period every day from 7:00am-7:45am in the Moran Fine Arts Building. 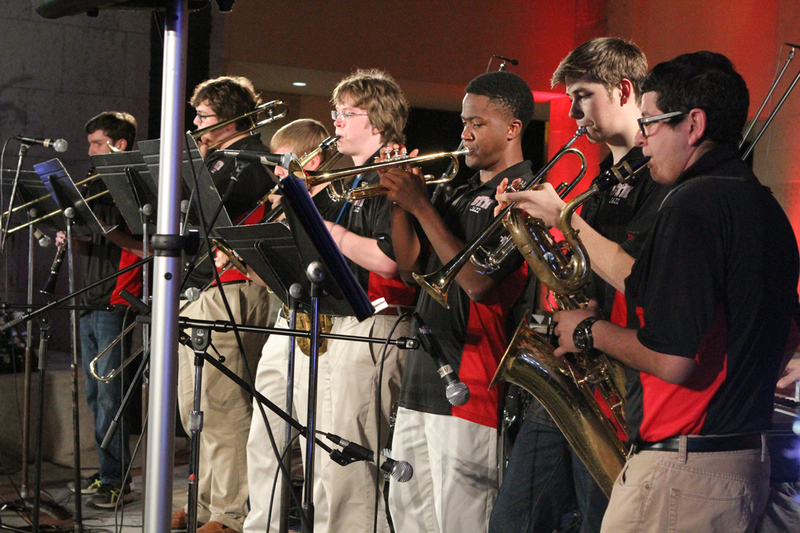 The St. Thomas Jazz Ensemble is made up of students from the Concert Band and String Ensemble. The instrumentation is not standardized but mostly falls under woodwind, brass percussion, piano and bass. We do not exclude any instrument. The main focus of the class is to learn how to improvise in various styles with confidence. The group is split into advanced players, Jazz Combo, and those with less experience, Jazz lab. 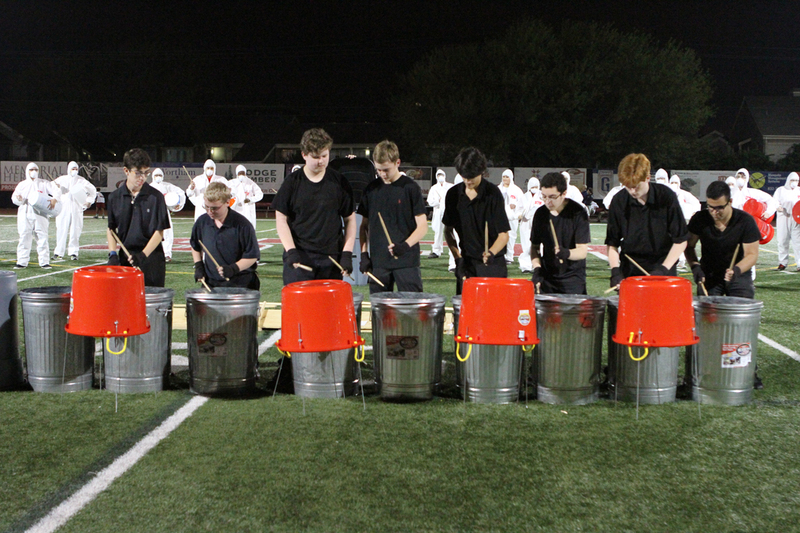 Both groups perform throughout the year at various functions as well as contests hosted by Texas Association of Private and Parochial Schools (TAPPS), Texas Music Educators Association (TPSMEA) and Houston Symphonic Band (HSB). The class meets at E period every day. The St. Thomas String Ensemble is made up of only string instruments from the orchestra (violin, viola, cello and bass) but also classical guitar and piano may find a home here. All genres of music are performed. The performance requirements are two major concerts (Christmas and Spring), National Honor Society Induction and Chamber Concert. Additionally, the strings perform in large group and small group capacities at contests hosted by Texas Association of Private and Parochial Schools (TAPPS), Texas Music Educators Association (TPSMEA) and Houston Symphonic Band (HSB). The Class generally meets H period. I enrolled in Band because of my interest in music. I wanted to be involved in an extracurricular activity where I can best express my interests. I’ve been involved in Band for all 4 years of my high school career. I most enjoy the camaraderie between us band members. We all share similar interests in music and I think that’s what brings us all together. I was involved in band during middle school and wanted to continue being involved in band in high school. I have been in band all 4 years and enjoy the community and atmosphere.